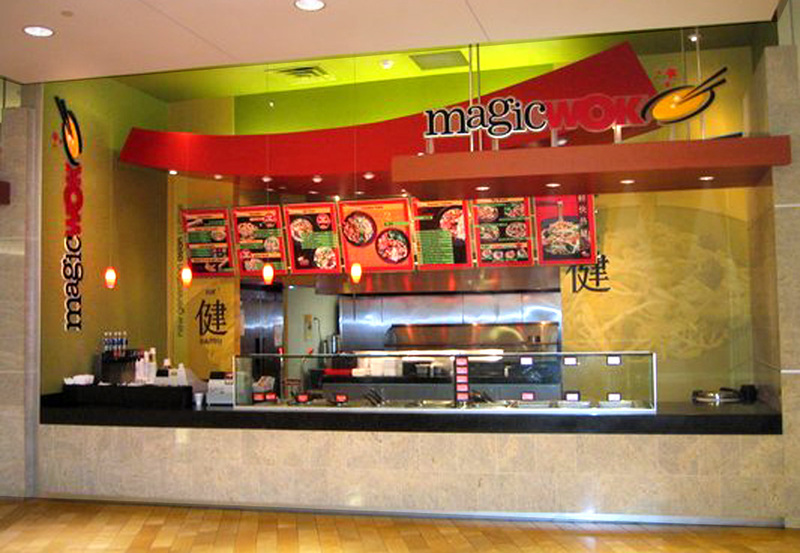 In 2004 the project began with the direction “..we need something Asian, fresh, fast, healthy and youth appealing, talk next week.” Magic Wok, a Toledo, Oh based company, had been a regional chain of about 20 stores throughout the Midwest. Except for a new logo, they were without a unified direction in marketing, retail, or brand identity. Most stores were re-purposed Hardy’s or similar 1980’s fast food buildings; enameled with all the glamour and sexiness 25 years of fry grease can bring. In conjunction with a local developer, we were hired on as creative talent to imagine what could be possible. What developed was one of our most successful projects, in scope and impact. After much research, analysis, dozens of sketches and extensive ideation we developed a comprehensive identity program. Brand Architecture, and retail personality were imagined and consolidated into a unified vision of what we dubbed the Asian-Chipotle. 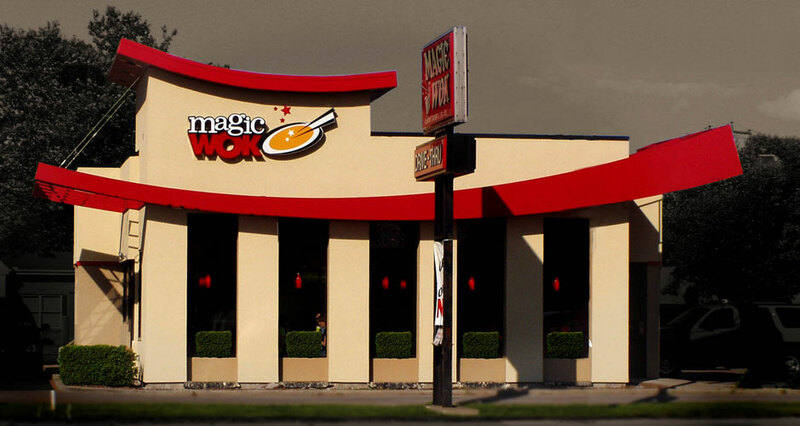 With quick-serve, bistro restaurants still in their infancy this new idea would transition the MagicWok brand to a new level of consumer appeal. 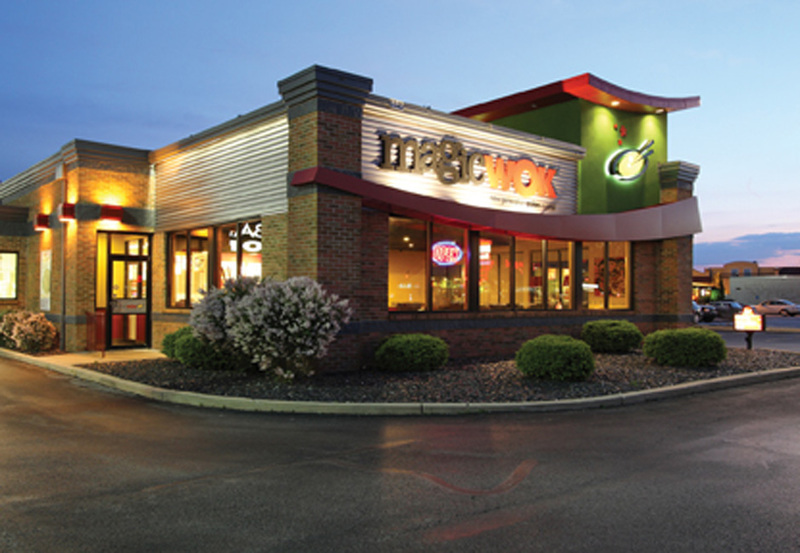 Together with our development partner, we created template stores for stand alone, strip mall, and food court locations. Over 15 stores have since been converted to the new branding and another 5 are evolving with similar but different personalities.